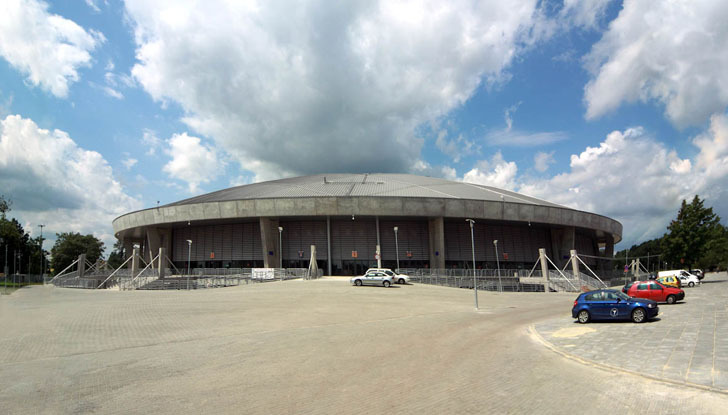 Atlas Arena is Poland's largest, most modern sport and entertainment facility. 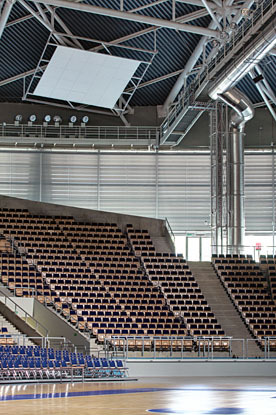 The five-level structure opened its doors in June 2009 and contains a floor area of 27,000 sqare meters with seating for 13,400. 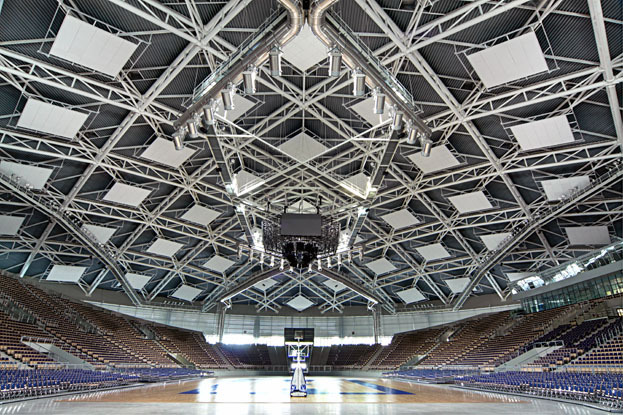 A variety of Hunter Douglas architectural products were specified for this project including Techstyle® Ceilings arranged in 6 x 6 m "acoustic islands" in the dome overhead. 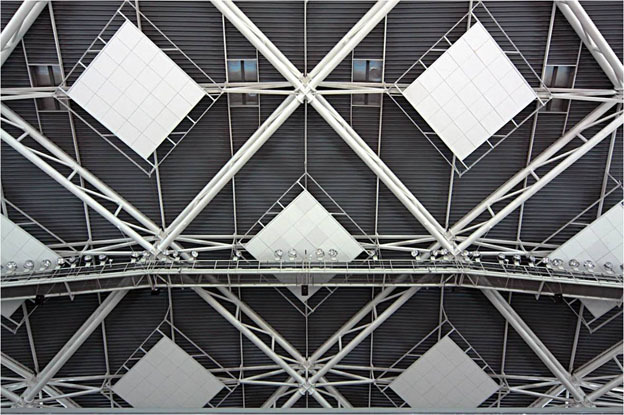 A total of 64 of these structures were installed on various angles at a height of approximately 32 meters.These structures were meant to provide balanced absorption of sound at a range of frequencies and to limit reverberation time to two seconds or less. 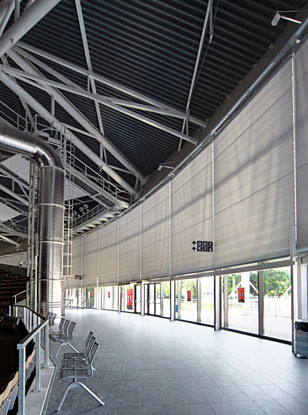 Large motorized roller shades (with a special screen acoustic fabric by Mermet) were installed over the large expanse of glass behind the arena seating. 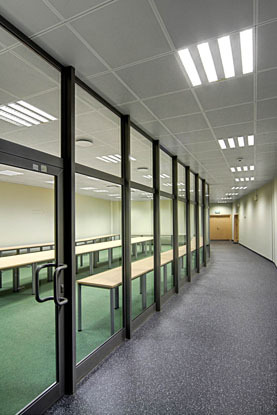 These oversized shades can be raised or lowered depending on the venue and lighting requirements. 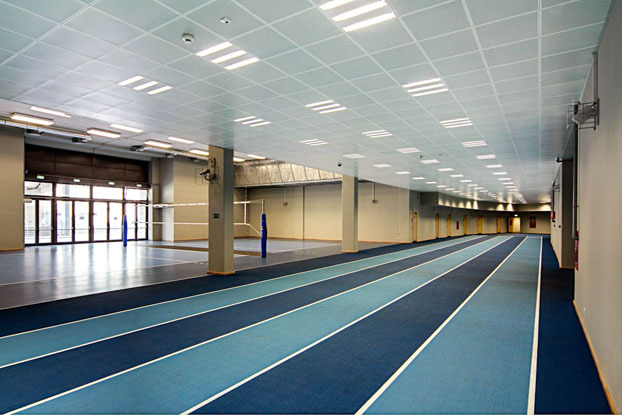 Metal perforated ceiling tiles can also be found inside the arena.